Luis Simoes da Silva | I.K International Publishing House Pvt. 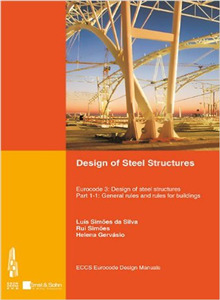 Ltd.
Luie Simoes da Silva is Professor of Steel Construction at the Civil Engineering Dept. of the University of Coimbra/ Portugal, where he is responsible for the Steel and Mixed Building Technologies Research Centre. He is President of the Portuguese Steelwork Association (CMM) and member of the Executive Board and President of the Technical Management Board of the ECCS. He has authored over 300 scientific articles in this field. By : Luis Simoes da Silva & Rui A. D.